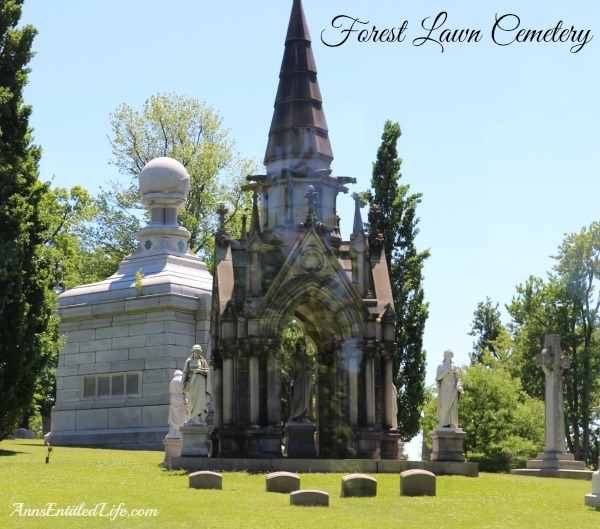 Forest Lawn Cemetery located in Buffalo, NY is rich in history. 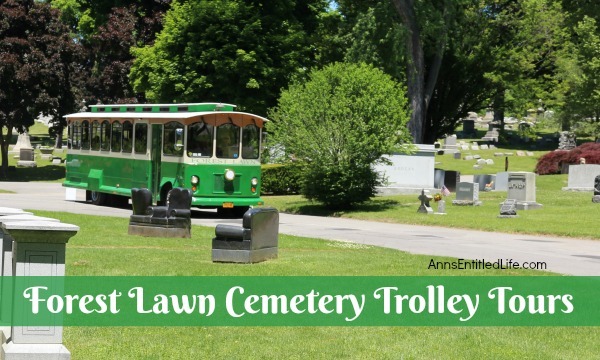 Sunday in the Cemetery offers guided trolley and walking tours, by trained docents that include wonderful, informative vignettes. Hubby and I were Max-free a few weekends back. We decided to take advantage of being puppy-free by taking in some sites in the Buffalo-area that do not allow canine companions. We first went to the Buffalo Zoo. 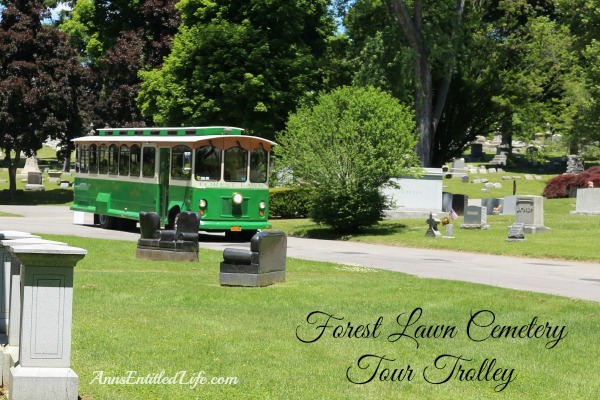 Then after lunch, we headed over to Forest Lawn Cemetery for a Sunday in the Cemetery Trolley Tour. 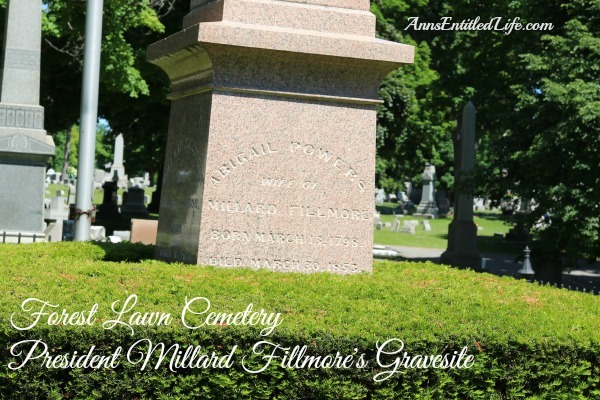 Now many of you may be scratching your heads – A cemetery tour!? you might ask. 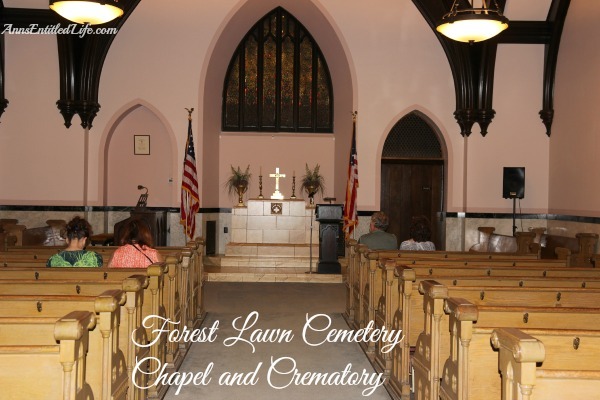 But as I have noted in my 100+ Things To Do In Niagara Falls and Buffalo, NY every year, Forest Lawn is both fascinating and beautiful. 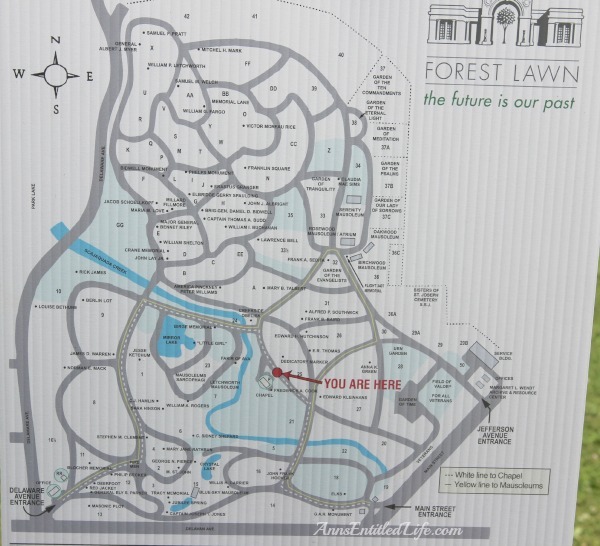 Forest Lawn Cemetery covers 269 acres, 14 miles of roadway. 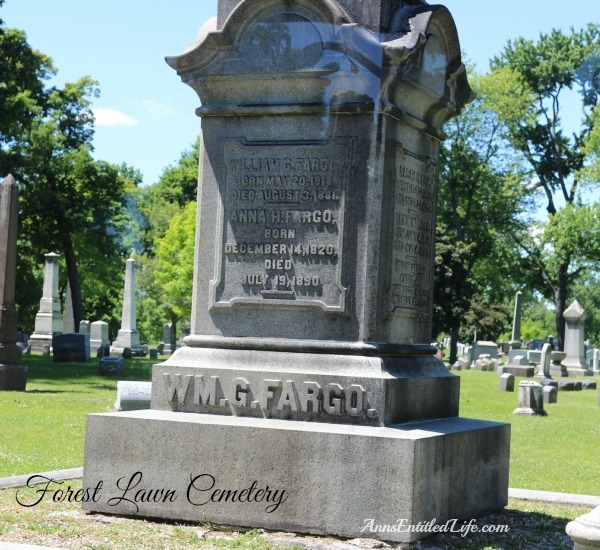 It is modeled after Parisian cemeteries, and was established in 1849 by Charles E. Clark. A trolley tour is approximately 90 minutes – 2 hours in length. A walking tour is also available. The two tours differ. We began our tour at the Chapel. Hubby checked us in, and then we went inside where we received a short history of the chapel and crematory. Our tour was of Civil War Veterans. Our Civil War Historian guide was Keith from Echoes Through Time. I “believe” he teaches at one of the local colleges or universities, but my notes neglected to list where. 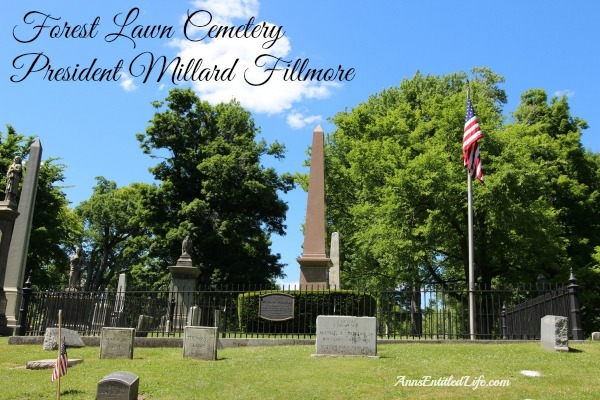 There are American soldiers buried in Forest Lawn that served in every American conflict starting with the American Revolution. 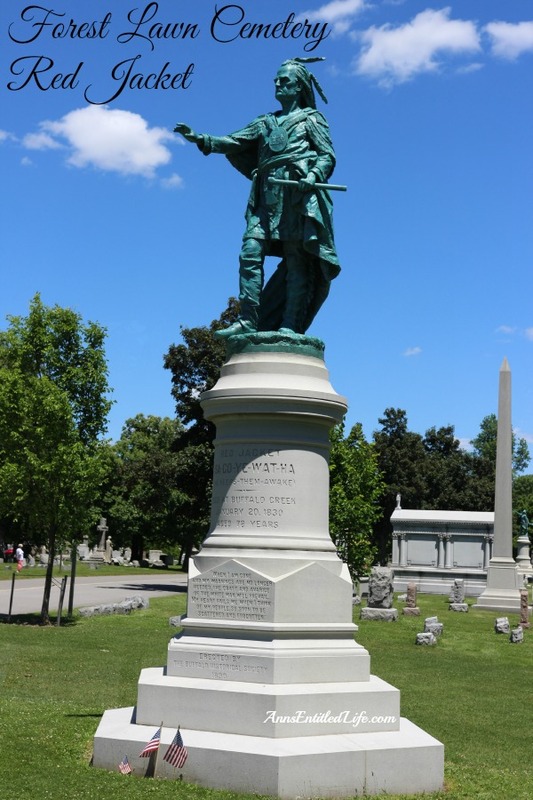 Specific to the Civil War there are 7 medal of honor winners, 11 Union generals, 140 non-commissioned officers, 140 field officers, and 7 confederate veterans buried in Forest Lawn. At timed stops, a “character” got on board our trolley to give us a short history of the person, and their involvement with the Civil War. One of our stops, included a short history of General Bennett Riley. He was the last military Governor of California before it became a state. Fort Riley in Kansas is named after him. General Bennett Riley died in 1853, well before the Civil War. However his son, Major Bennett Riley, served in the Confederate Army in the Civil War. A graduate of West Point, he came home to Buffalo after the war to work for the Erie Railroad, and helped develop the Cleveland Waterfront. 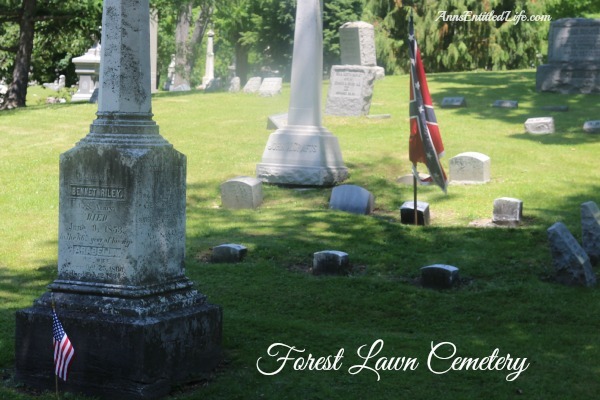 He died in 1915, and his gravestone sports the Confederate Battle Flag. Red Jacket was a Seneca Indian and chief of the Wolf clan. He had a long history of negotiating with the British, and he is credited with helping the Americans during the war of 1812. His grandson, Ely Parker was a Civil War General. He served as the adjutant to General Ulysses S. Grant. He wrote the final draft of the Confederate surrender terms at Appomattox. Toward the end of the tour, “William Fargo”, who was Mayor of Buffalo got on the trolley and told us a little about his life. He (and his partners) started two “little” companies which you may have heard of: American Express, and Wells Fargo. 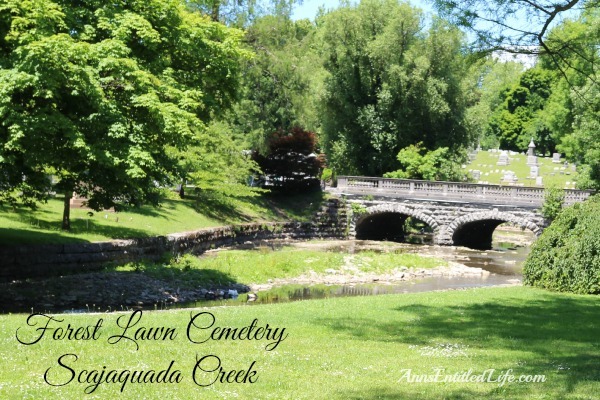 Scajaquada Creek runs through Forest Lawn. When the tour was over, I took a few photographs of some mausoleums. 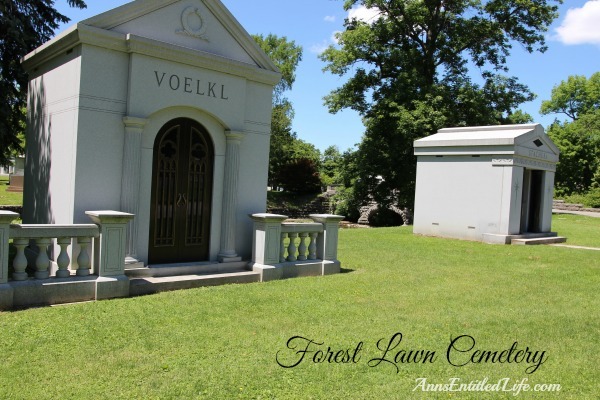 There are many beautiful mausoleums in Forest Lawn Cemetery. 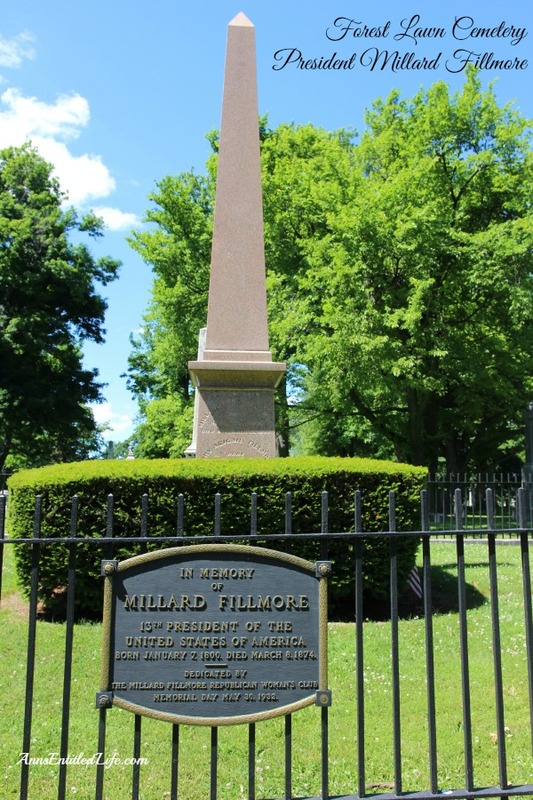 And of course we went over to President Millard Fillmore’s grave. 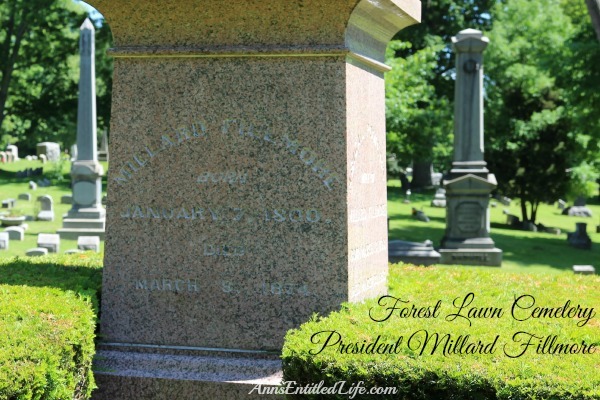 His first wife is also buried here. 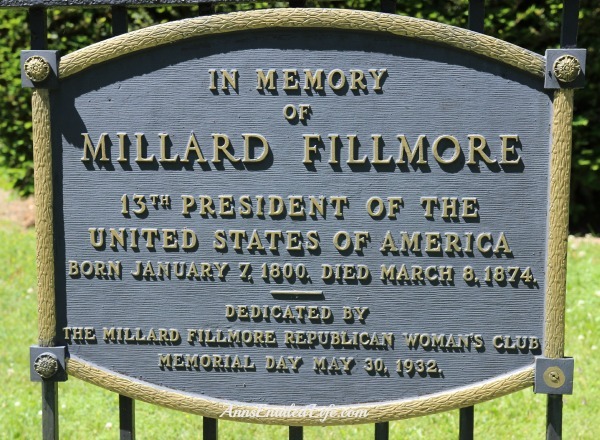 She died shortly after he left office, catching a cold that turned to pneumonia while at the swearing in of Franklin Pierce. The Forest Lawn Cemetery Tour was truly worth the fee. Interesting and informative, the tour captured the history of the time. 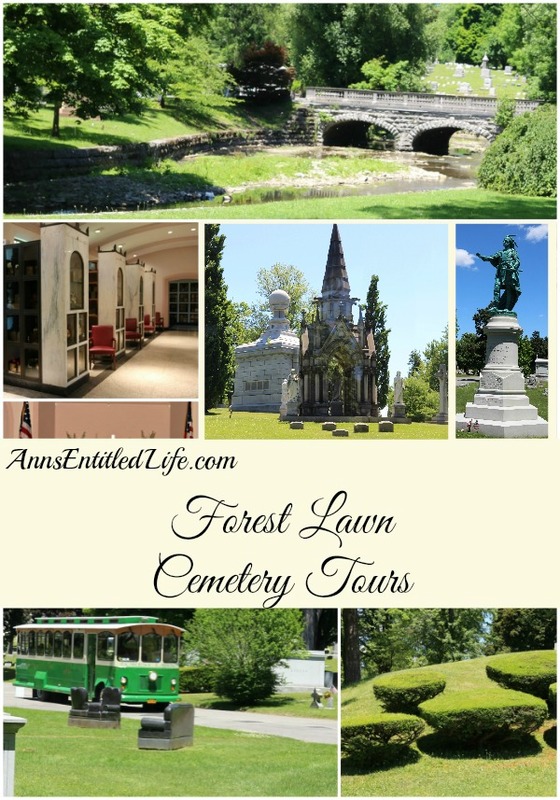 I actually look forward to taking another Forest Lawn Cemetery Tour soon.